Awwwww... LOVE, LOVE, LOVE that winking lady owl!! :D Soooo cute and sweet! You have made a fabulous work with your gingham bag!! Pinned! Such a fun post. Love each and every one of these cute little Owls. You're so creative! 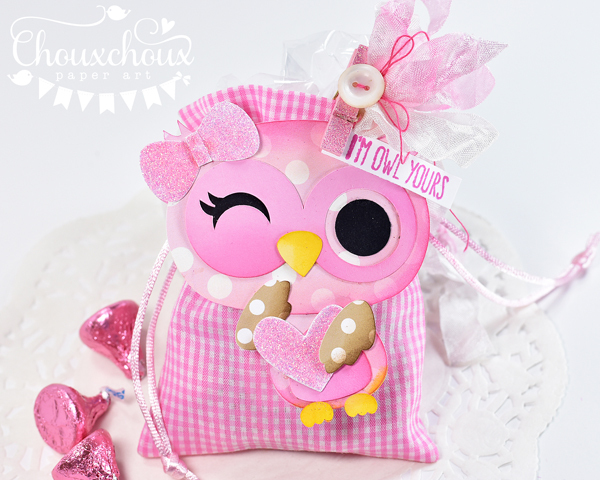 Love your little owls, but especially the one you made with the pink gingham bag! Super cute! Oh my goodness.. such adorable projects!! I love owls!! Love the pretty pink too! Oh wow--you could have called this Greta's post! Pink is my favorite color & I adore these projects, Lori--so creative & beautiful! Love those heart dies, your coloring, the winking owl--everything! I can't believe how quickly January has flown by...Valentine's Day will be upon us before we know. Oh, my!! Such adorable owl projects, Lori! I do love owls and think they are super CUTE!! And, all in pink, too! It just couldn't get any better...so fun and pretty!! OMWORD! I adore Owls and yours are soooo CUTE! What fun projects Lori! I LOVE that first owl winking at me! 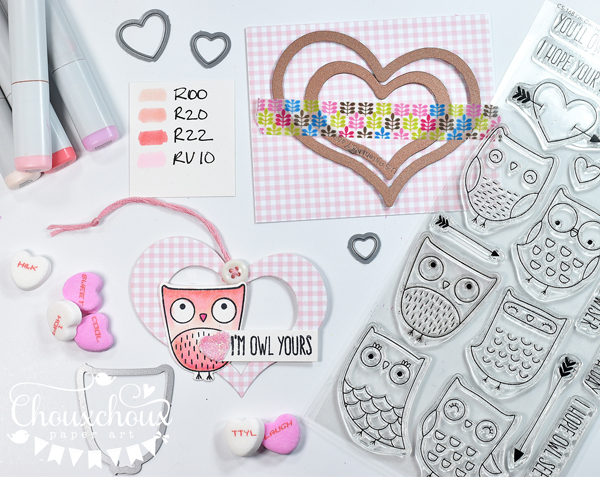 and of course the sparkle hearts too... Who doesn't like Owls & Sparkle! :) Super cute! 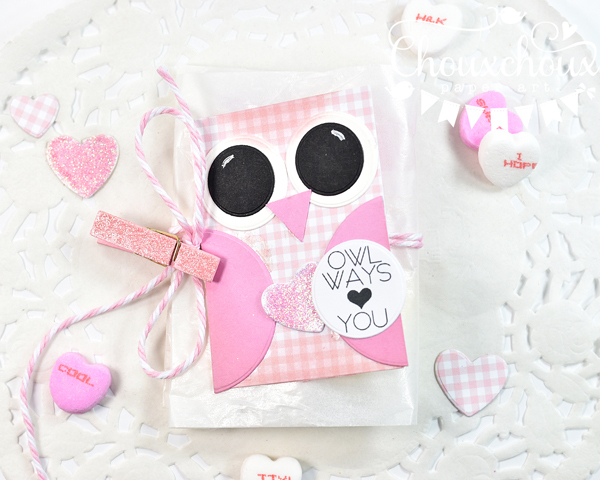 All your owls are just too adorable, love the one winking, and the cutie on the heart, I do the same thing, get on a color kick and many cards on a row using it! 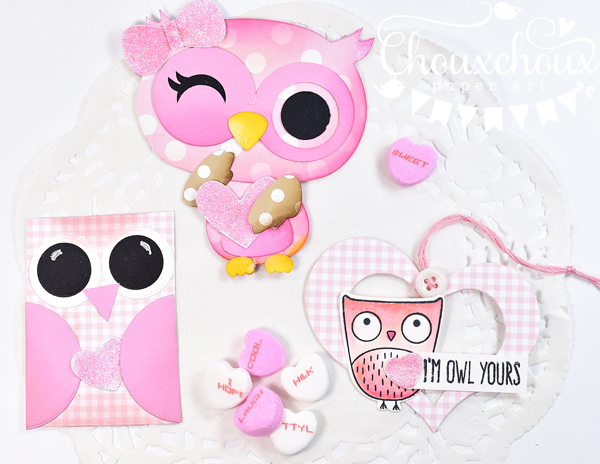 your little owl projects are beyond adorable!! you are so amazingly creative and clever and I always love coming to your blog to see what you have created!! Oh how cuuuute Lori! Love all your sweet owls! Thanks for sharing your pattern and for all the inspiration! Oh my goodness. This has go to be the cutest owl ever! I love that she is winking and the soft pink colors. Omgosh, how SWEET! Everything you make just puts the biggest smile on my face, my friend! What adorable owl tags... each and every one. Love how different they are, yet how well they all go together with your adorable pink accents. I am crazy for precious sweet treat packages like these. Thank you for that! I love owls! 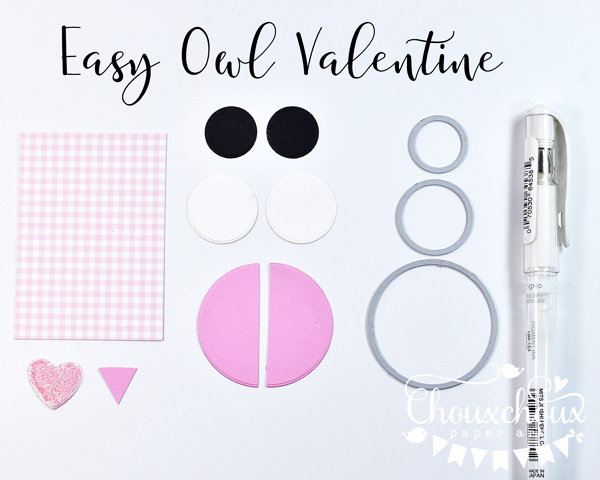 You have made three of the cutest projects for this post. Your "pink" mood was very productive and clever. Super sweet! Today my mood is a rainbow...lol! Hope that serves me well in my craft room rather than hindering me...lol... some days I just can't decide... maybe I'll use them all! LOVE these tags... omg... I saw your face while catching up over at Mitra's place and was reminded I hadn't been here in so long. Beautiful Beautiful and so happy I got over here this morning!